Meet the semi-finalists of the European Social Innovation Competition! 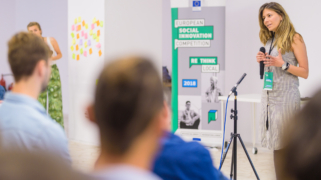 In July, thirty semi-finalists of the European Social Innovation Competition will visit Cluj-Napoca to progress their ideas and learn about social innovation. We hereby cordially invite you to meet them and discuss with them strategies for effecting social change. The 2018 Competition seeks to find the most innovative projects that empower young people to participate fully in a changing economy. For the European Social Innovation Competition++EUSICThe European Social Innovation Competition is an initiative of the DG Growth of the European Commission, and is organised by Nesta, Ashoka, ENoLL, Scholz & Friends and Kennisland. The competition promotes and supports social innovation in Europe and provides a platform for leading European innovators to support new initiatives, help them develop further and to learn from each other., thirty semi-finalists were selected from almost 800 applications from all over Europe. In July, they will come in Cluj-Napoca to follow a three-day academy, where local actors provide mentoring and support. 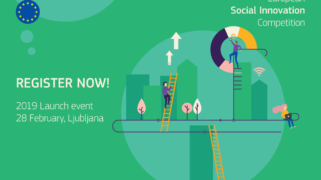 On the second day of the academy,17 July, we invite you to meet the semi-finalists and share experiences and insights regarding social innovation. The event will be highly interactive and in an Open Space discussion format to match interests and networks on the spot. Participation in the event is free, however, registration is required. Please register here, before Monday 9 July. The theme of this year’s competition is RE:THINK LOCAL. The semi-finalists of the competition improve the opportunities for young people in a changing economy through their initiatives. Get to know for instance Erase All Kittens (UK), a game that teaches girls how to code, GoFundEd (Ukraine), a crowdfunding platform for schools and teachers or House of Nature, a social business offering sustainable tourism in rural Romania. Read about all the semi-finalists here. Out of the thirty semi-finalists, three winners receive a prize of € 50,000 each in November 2018.Out of the thirty semi-finalists, three winners receive a prize of € 50,000 each in November 2018. Please register here before Monday 9 July (the event is free). For any questions about the event or Competition, reach out to: info@socialinnovationprize.eu. 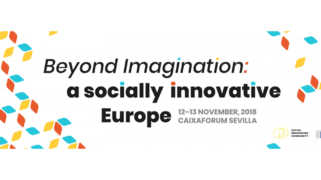 On 8 november 2018 the Awards Ceremony of the 2018 European Social Innovation Competition takes place at the Albert Hall in Brussels. Join us and see who of the ten semi-finalists will win one of the three € 50.000 prizes!